Indian Air Force(IAF) issued the notification and exam pattern for the aspirants who want to join Indian Air Force. AFCAT is termed as an Air Force Common Admission Test . AFCAT is an entrance test conducted two times an year to shortlist the applicants for IAF Commissioned Officer in Flying and Permanent Commission or Short Service Commission in Ground Duty (Technical & Non-Technical) posts. Keep a printout of the AFCAT syllabus close to you while preparing for this exam. If you do so, you would have a ready reference to all the topics that you need to cover for this exam. Once you get familiar with AFCAT syllabus and pattern, list all the important and scoring topics and make a study time table. The time table should give priority to topics which carry more marks and which needs more practice. Focus on preparing notes on important topics. This will help in the revision. Candidates who prepare for AFCAT exam need to revise from various books and research papers. If you prepare notes, you can quickly access all the related information at one place which will save time. Join study groups, and discuss the notes that you have prepared. You can exchange notes with friends. Mock tests are best ways to prepare for the exam. While choosing mock test, see if the actual exam pattern is followed and also the review of the mock test. 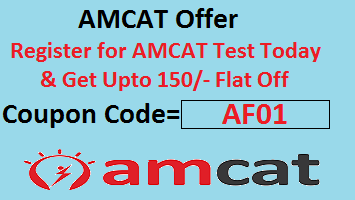 Solving daily AFCAT mock test will help you in getting confidence, improving your speed and accuracy. You can identify you weak points and work towards strengthening them. Current affairs and General Awareness is an important part of preparation which you can never miss. Read Daily newspapers, Current affairs magazine And listen to news channels which will keep you updated with latest current affairs. Verbal Ability of English is an important part of English Language. Candidates can read English novels and books to learn new words. They can look for the meaning of the new word in the dictionary. Also, try practising with Antonyms and Synonyms Quiz questions which will help you in improving your vocabulary. Reading Habit is very necessary for the preparation for AFCAT examination. Previous years AFCAT question papers will give you an idea about what all sections are included in the exam and how to approach the sections. You can learn time management and questions frequently asked for the exam. Candidates need to clear the important sections and doubts before the exam. If there is any section which they are facing difficulty, they can take the help of mentor or an expert. Do not get diverted. Stay focussed while preparing for AFCAT exam. Take short breaks in between. Finally, Health is Wealth. If you appear the exam with a sound mind, you can think more and score better. So, maintain a good healthy diet. Do some meditation and yoga to stay fit. All the Best for the Preparation!